At E & M Heating & Cooling, we know that quality makes a difference! That’s why we offer premium service and expertise for commercial, residential, and retail HVAC installation, repair, and maintenance to the greater Bidwell, OH region. Over 20 years of commitment to client satisfaction and workmanship. Professional ductwork, HVAC retrofitting, emergency repair, and more. Featuring only the most reliable heating & A/C units in the industry. E & M Heating & Cooling has been providing high quality heating and air conditioning and ductwork services in Ohio & West Virginia for over 20 years. 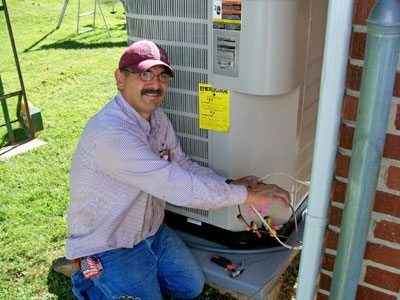 Since the inception of our business, we've maintained a client-centered focus and stop at nothing to satisfy our clients' heating and cooling needs. Our 24-hour emergency service allows us to accommodate heating and cooling emergencies at any hour, in order to immediately restore the comfort of your home. In keeping with the times, E & M Heating & Cooling adheres to energy-efficient industry standards. We've replaced R-22 Freon Units with environmentally conscious 410A units and stay ahead of the curve when it comes to modern heating and air-conditioning technology. Being comfortable with this technology allows us to provide our clients with the most cost-effective heating and air solutions available. To learn more about our products, we encourage you to visit our Heating and Cooling Products page.